A few people had pointed out to me that my almost white-blonde hair contrasted my almost black roots far too much. My mum imparticular was someone who suggested that a mid-toned blonde would not only suit my pale complexion better but would also make my roots less obvious as they grew through at the speed of lightning. So, after taking on board everybody's ideas I headed to Superdrug and bought this dye. 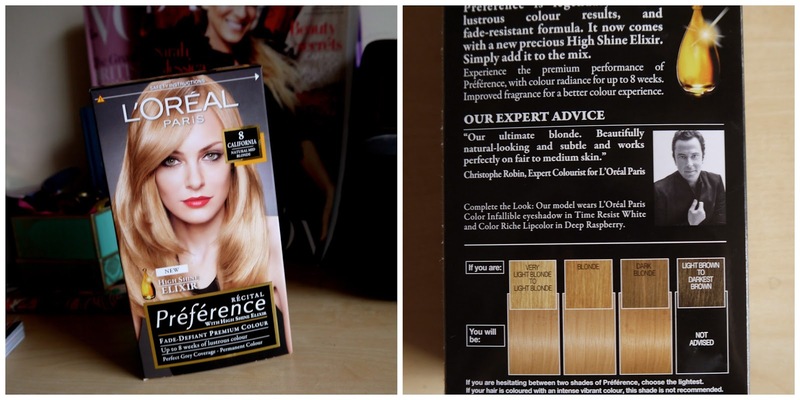 Now, this is a tale of two halves, I loved the shade on the front of the box and the indicator shade that depicted my light blonde hair turning a warm shade of darker blonde. The shade number 8 itself is a neutral shade of colour with no extra ash or gold tones. I applied the dye to damp hair and left it on for 20 minutes on my roots and 10 minutes on the faded lengths of my hair. The results could not have been further from what I expected. Whilst developing, my hair looked a strange green colour but I assumed that was just the product developing. Upon rinsing and drying my hair I realised that I rocking a rather unique hair colour. Don't get me wrong, I love the ashy-cool toned-dirty blonde that I have been left with but it certainly isn't the colour on the box to a tee. Colour contrasts aside, I do love the more natural, mid-toned blonde and I feel it is more suiting to my skin tone and natural hair colour. 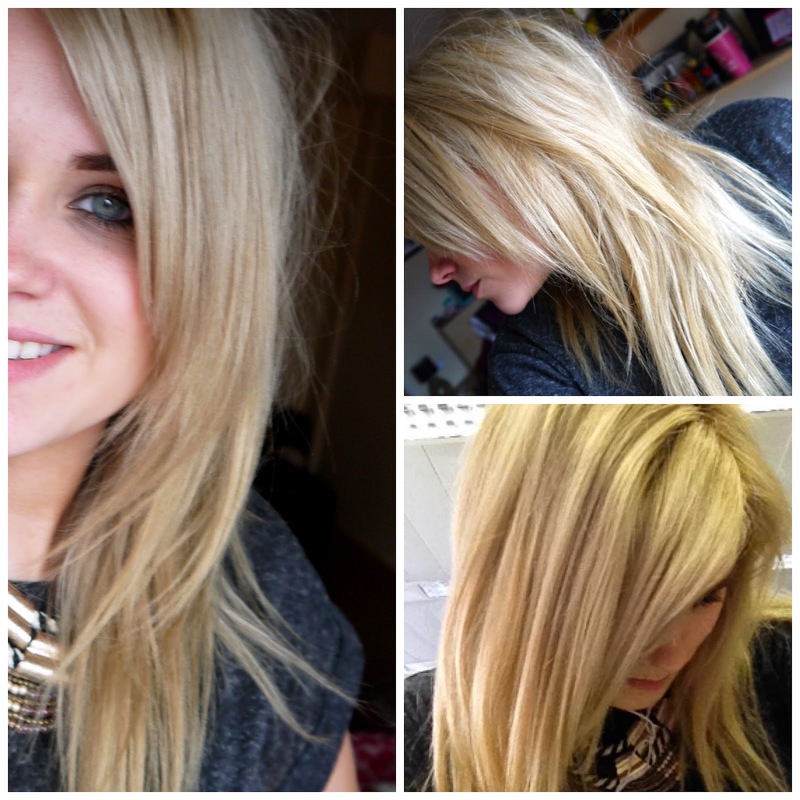 You really can't go wrong with an ashy blonde! What do you think suits me more, super bleach blonde or dirty blonde?